On Monday, October 31 at 4:00pm. 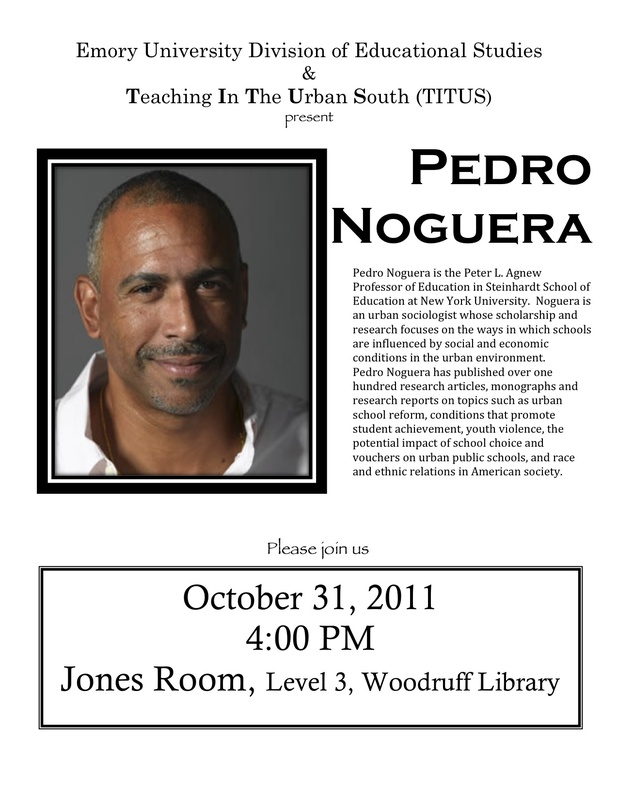 Dr. Pedro Noguera will give a talk at Emory University. Click the picture below or leave a comment for more information. « Does your student need help with his or her college essays?